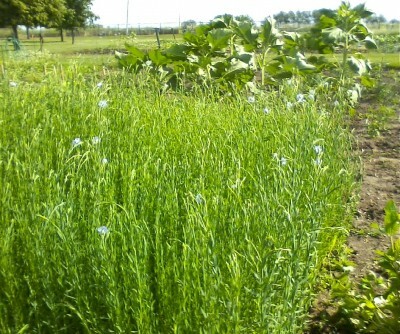 Jackie and I visited our garden today, where we’re growing flax with an eye toward making linen. 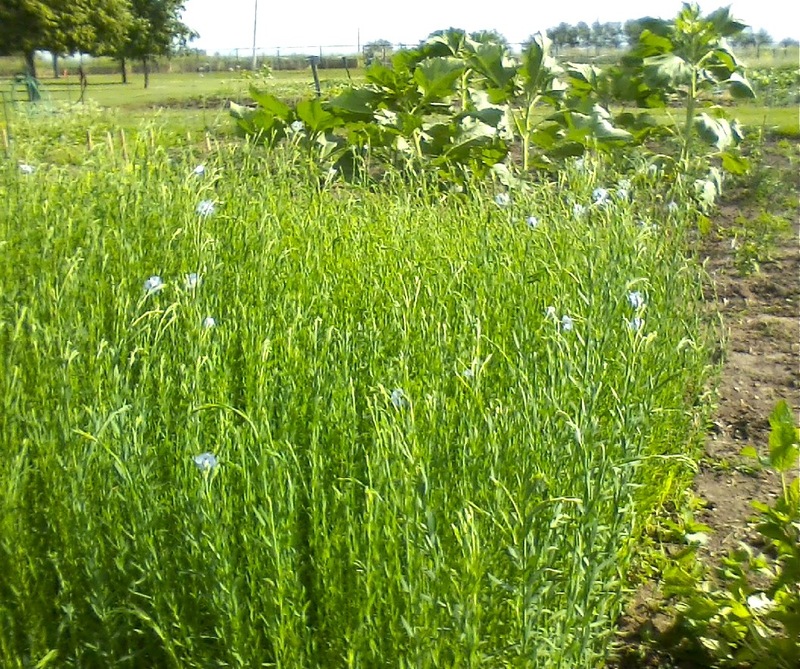 We were pleased to find the first flowers on our flax plants. 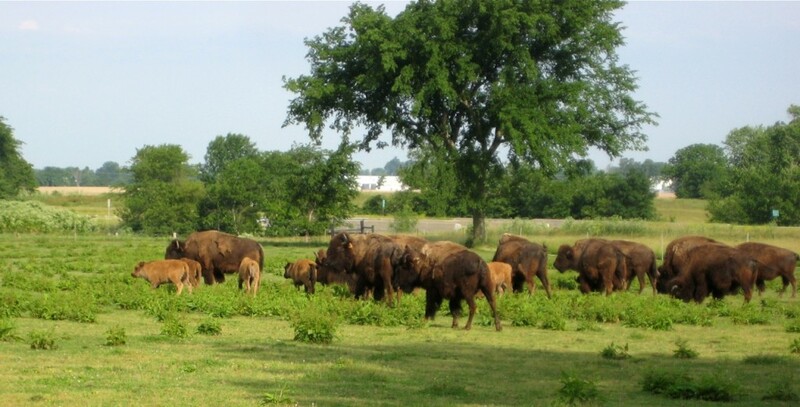 Somewhat more successfully, I took this photo of some bison with calves, in a field behind the hotel where we stayed in Greenville for our Sharp family reunion. That looks amazing, Phil. I can’t wait to see more as you actually go through the steps to do it. We’re very excited, and it’s going very well so far. Jackie has gotten some of the equipment we need, from fiber-active friends who took a brief interest in flax and linen. (We have an improvised hackle, for example.) My main concern is retting—where are we going to let a whole field of plants soak in water for long enough that the vegetable matter rots away? But it’s really all an experiment anyway. If it doesn’t work out, our actual loss will be very small—a few dollars for seeds, a few more for whatever equipment we end up needing to buy, a few hours of working the soil (which we’d have had to spend anyway, no matter what we planted).